Spanish wine exports are the cheapest in the world. In March 2018, the average price for generic red wine from the short 2017 vintage rose to €0,67 per litre, although it is usually cheaper on regu-lar vintages. Meanwhile, a young generation of Spanish winemakers is trying to increase the value of their bottled wine in export markets. These two business models stand on opposite sides. People generally believe that bulk wine means low quality wine, but in fact the target is just a different type of consumer, one that has traditionally been ignored —despised, even— by the trade. Bulk means that the wine is transported unbottled, so quality is not the issue. Having said that, bulk wine is almost always of a commercial style —its immediate flavour is valued well above its capacity to generate intellectual stimulation. Terroir, minerality or typicity are secondary. 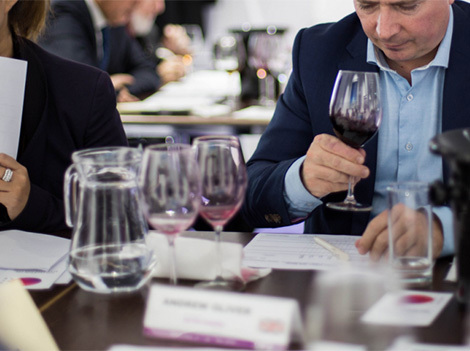 “The quality of Spanish bulk wines at the International Bulk Wine Competition keeps improving year on year,” says Subhash Arora, president of the Indian Wine Academy. “The quality of the 2017 was much better than last year, although the reds were generally less attractive than in 2016. Perhaps frost and the double flowering might have something to do with that”, he adds. Pablo Miranda Roger, who has been marketing and exporting Spanish wines for 20 years, agrees that this is part of the problem. “The cooperatives don’t know how to add value to their wines and they need to reinvent themselves”. There are a lot of successful examples, he claims. “The cooperative Bodega Aradón in Rioja has hired a specialist team to add value to the company and the wines. On top of that, they have improved their winemaking, which is backed up by an ambitious commercial plan. The recipe for successful sales is to add value”, says Miranda Roger. “Improving their winemaking” means understanding different needs in the world’s markets. After many years working with Norwegian consumers, Elin Ellann has understood that commercial red wines sold in Norway need to be smooth and have sugar levels above 5g/l. There’s no need to push for a certain style of wine, she explains. Wines need to be liked from the first sip. “We carry out consumer research tests to ensure that our wines are liked by our target consumers; that is a key issue,” explains Elin Ellann. Most wine drinkers are not interested in the traditions of Spanish wine culture and refuse to drink something they don’t particularly enjoy, she adds. Scores and ratings may be a problem when talking about highly commercial wines. A recent survey of US wine consumer preferences asked over 1,000 Americans (with all 50 states represented) about their wine preferences. Only the tiny 'connoisseur segment' prefers dry/tannic wine styles. The vast majority of people seem to enjoy fruity, smooth and slightly sweet wines, a style usually frowned upon by wine connoisseurs. This might not be such an issue when rating fine wines as the target are the connoisseurs that rate them. But for commercial wines, the results become quite unfavourable for the general public. The irony is that wine consumers with little wine knowledge might make better purchases if they select wines will low scores. But this is nothing unique in wine; most consumers would also prefer pasteurised industrial cheese rather than a mature, stinky Époisses de Bourgogne. “One has to be careful when rating bulk wines because many of them are actually base wines, designed to add or detract something to a blend”, explains Arora, who as well as presiding the Indian Wine Academy is the editor of trade publication delWine. Subhash feels that we still are at an early stage in terms of how commercial bulk wines are rated. Should bulk wines be rated with the tastes of the average wine consumer in mind? Probably not. Just like other cultural expressions such as film or music, a score looses its meaning if it does not represent the honest opinion of the expert. With this in mind, we have asked experts how they taste and rate bulk wines. What qualities are needed to make a wine attractive for the average consumer? Consumer preferences are geographically different, but some aspects change little regardless of whether consumers are based in India or Norway. Anyone targeting consumers with little wine knowledge must take into account deliciousness rather than the intellectual value of the wine. But what makes a wine delicious? Colour. The first thing that most consumers react to when drinking wine. The work of Morrot, Brochet and Dubourdieu, based on lexical analysis of experts' wine tasting comments, illustrates how dramatically the look of a wine influences the part of the brain that stores the appropriate aroma descriptors. In other words, the colour of a wine affects its perceived flavour. Another important thing is limpidity, the absence of haziness/particles suspended in the wine. Commercial wines are required by consumers to be clear and free of potassium bitartrate crystals. Aroma. Fruity and/or floral characteristics should be dominant. Intensity is less important as con-sumers with little wine knowledge pay less attention to how wines smell than connoisseurs. Palate. The perception of high levels of acidity, tannin or dryness should be avoided. Minerality is a concept that consumers don’t really care about, so it can be ignored. Professional bulk wine buyers create blends for their consumer segment; the challenging part is to adjust that blend every year to avoid variations in taste.